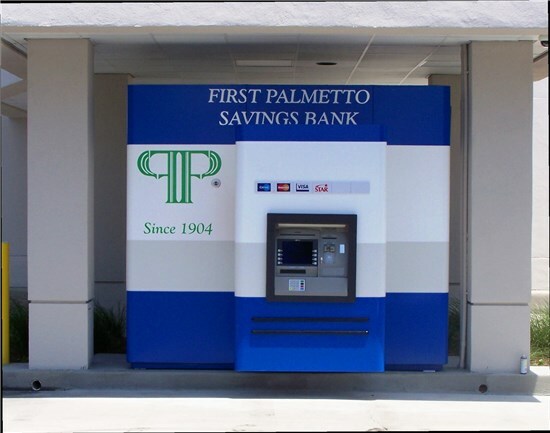 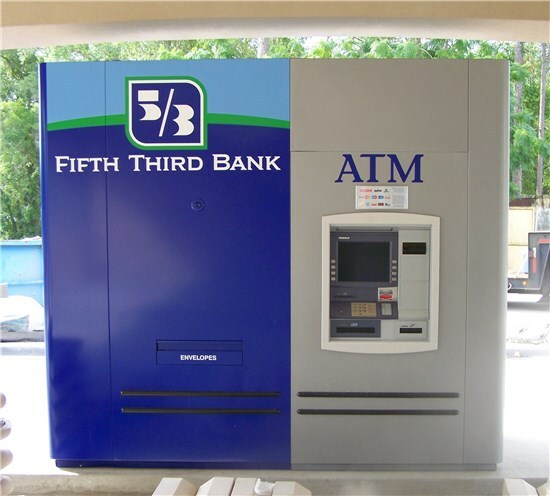 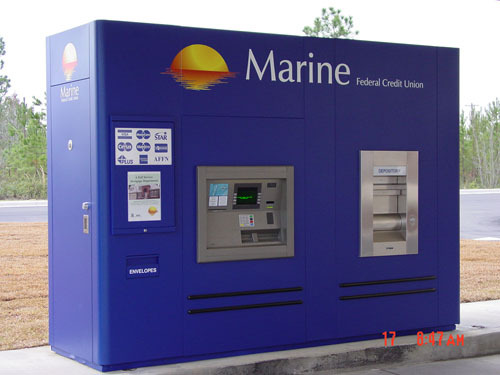 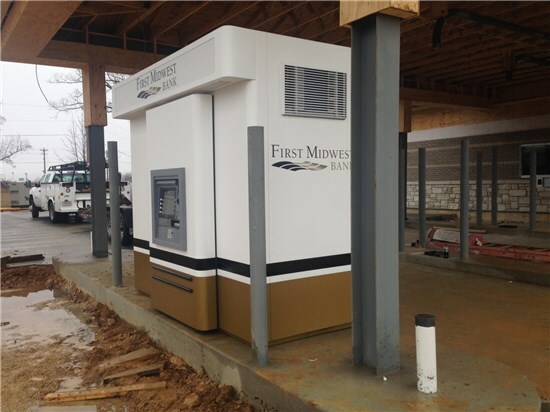 The Model 100 ATM kiosk enables you to install an ATM at any 2nd, 3rd or 4th drive lane that is under a branch canopy. 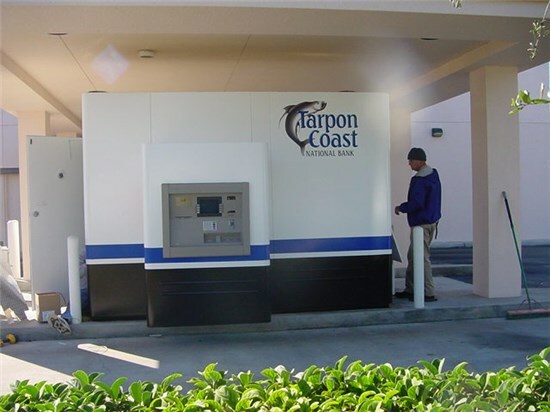 Equipped with our patented linear track system, this secure kiosk provides a roomy 9’ service area for replenishing funds. 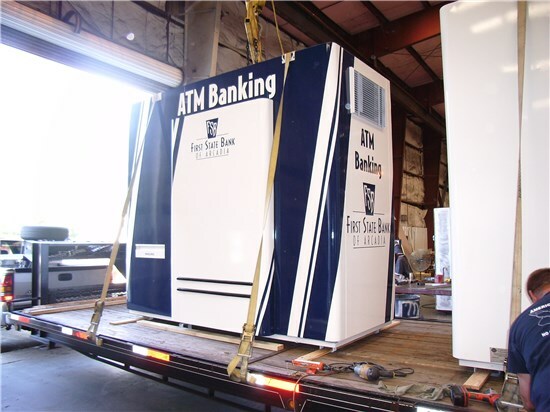 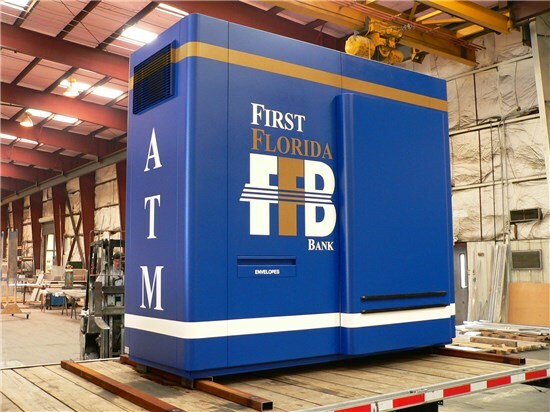 Concept Unlimited can completely customize your Model 100 to accommodate features such as a money mover tube system and a secure night deposit box. 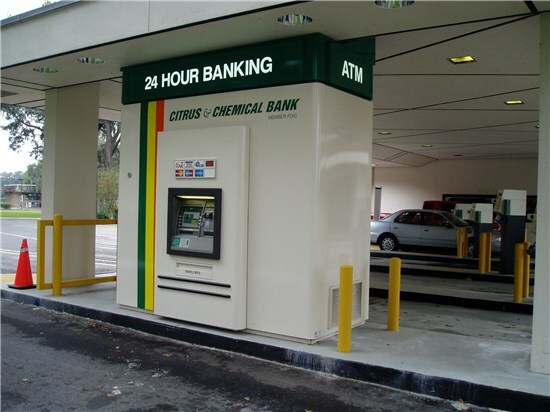 Other features may include an extra security door scope and HVAC system that automatically adjusts from heat to A/C. 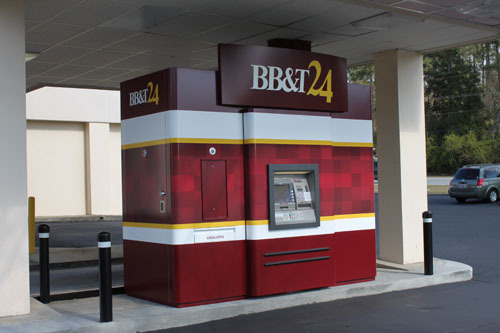 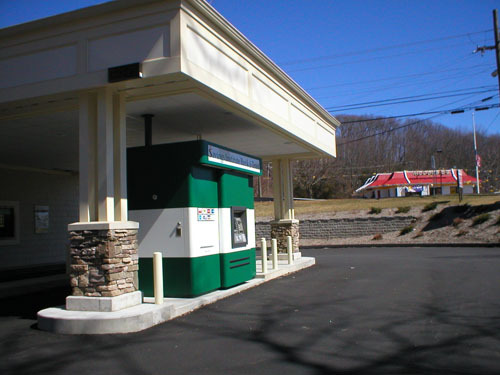 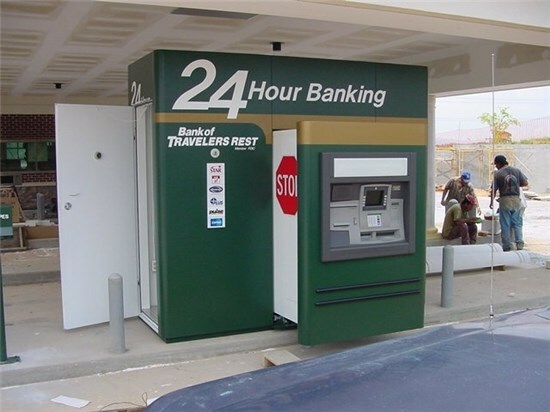 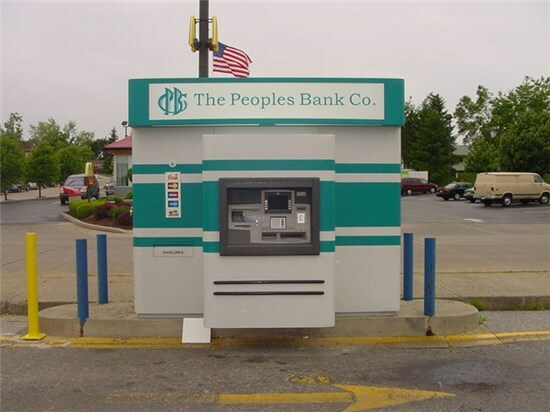 The Model 100 kiosk is an efficient banking solution for installing an ATM under your existing drive-through canopy. 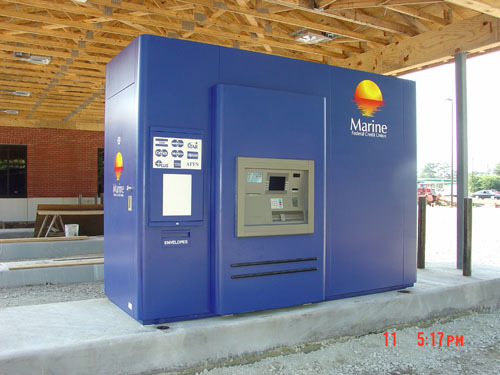 For an even smaller footprint, consider our Model 100 Mini.